Best served with oil-based sauces. 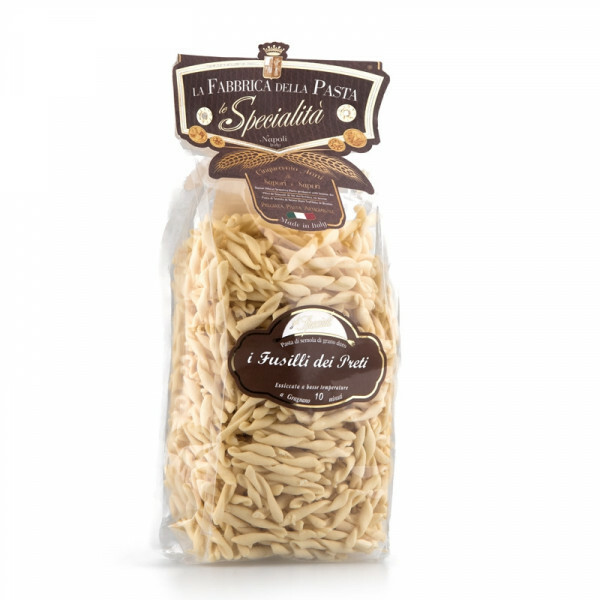 A slightly twisted type of pasta, a toned down fusilli. Aptly named dei Preti (which means of the priests), this intriguing variation is a surefire favourite for every guest. 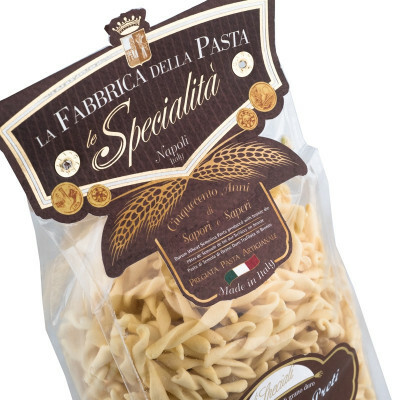 This is pasta made with 100% durum semolina wheat and water from the springs of Mount Vesuvius to preserve the traditional, natural flavours that brought pasta worldwide recognition. Due to its array of health benefits (it's rich in proteins and other macro-nutrients) and its particularly good cooking qualities, durum wheat has been an integral part of Mediterranean gourmet cuisine for centuries. Pair with oil-based sauces that can slide down the swirls, such as pesto. 100% durum wheat semolina. GLUTEN.